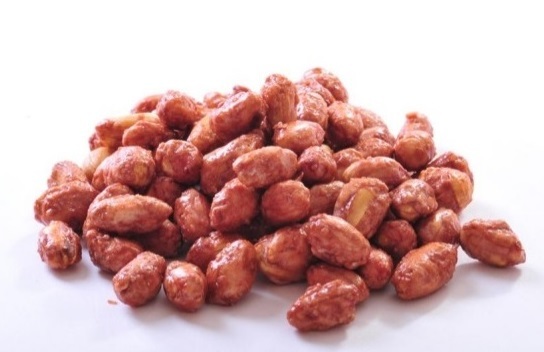 Founded in 1981, J&G Pecans are a leading supplier of peanuts and pecans, offering a wide range of products for the snacks and ice cream industries .The company works closely with its customers, to provide customized products that match the specific taste preferences of their markets. The J&G team have developed honey baked pecans utilizing novel food processing methods, that provide a mouth watering product with unique aroma, crunchiness and long shelf life. In addition, the company has developed a line of delicious snacks that are particularly suitable for pubs and restaurants. The company exports it products to countries around the world, including the supply of ice cream toppings to Nestle and Unilever. Recently, J&G have signed an agreement with Lidl, the German chain, for the supply of 40 tons of nuts and pecans, to be sold under the Lidl private label. Lidl is a German chain that operates over 10,000 stores across Europe. 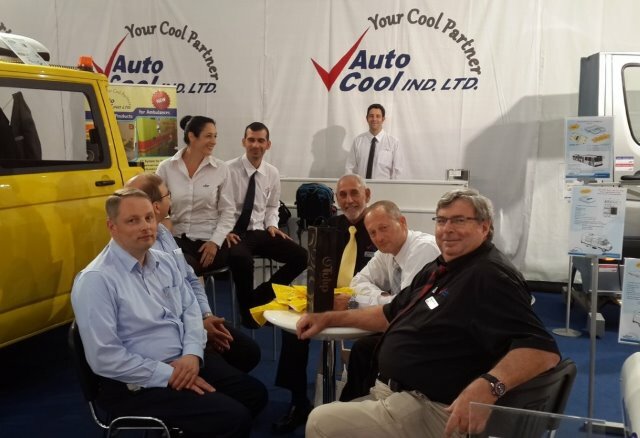 Auto Cool Ltd. (since 1982) is Israel’s leading manufacturer of customized Air Conditioning (AC) systems for commercial vehicles and trucks . Auto Cool develops, installs and services all its systems in-house. In addition, Auto Cool develops and produces special AC systems for aviation, marine applications. Auto Cool is also a leading manufacturer of electrically operated Automatic Sliding Doors, front pivoting and tailgate doors, retractable steps for vans, minibuses. Auto Cool’s customers’ list includes most vehicle importers, including Mercedes, Volkswagen, Renault, Ford, GMC, Toyota, Peugeot, Citroen, Fiat, Nissan, Hyundai, Land Rover, DAF, MAN, Kia, and IVECO. 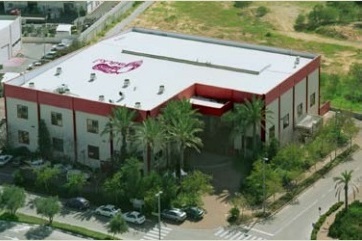 AutoCool employs 112 professionals in its Engineering, R&D, Manufacturing and Service departments. 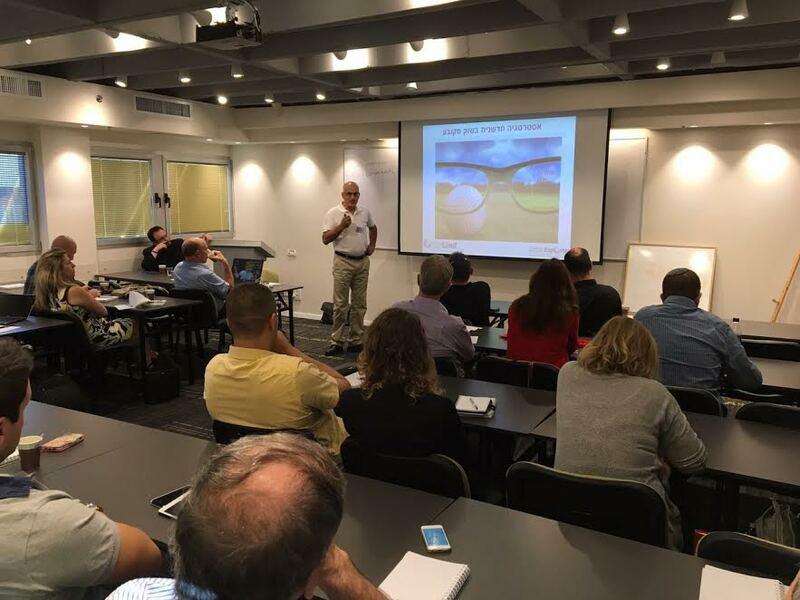 The company has 22 service stations throughout Israel and is working with agents/distributors all over Europe, South and North America, Far East, Australia, New Zealand, Africa and the C.I.S. countries. 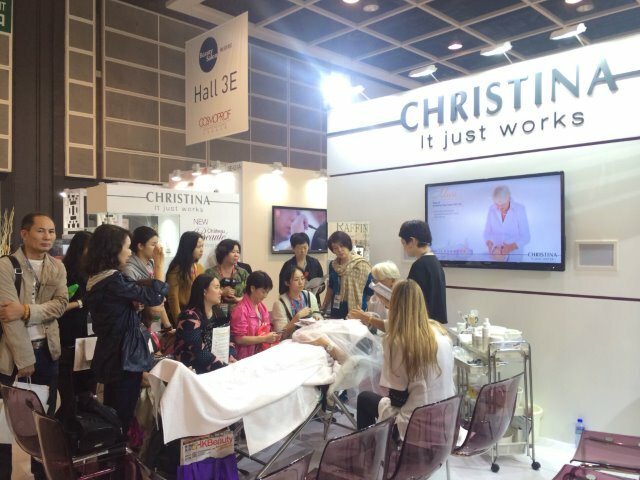 Today is the last day of the the "Event Matching" show in Italy. Over 1000 Italian companies interested in reaching new markets are meeting with representatives from countries around the world. 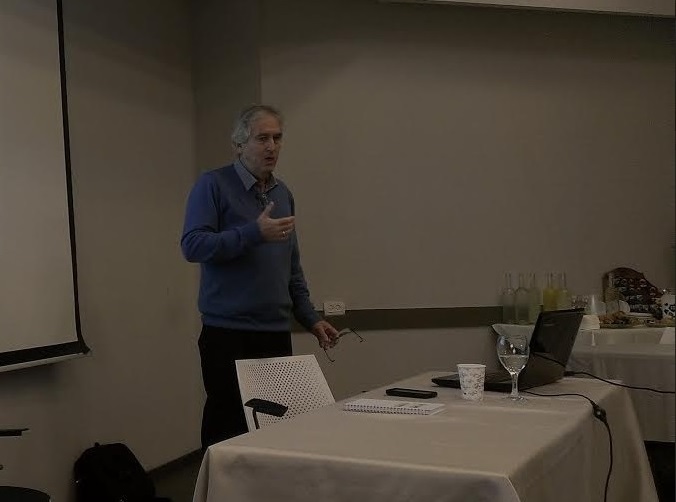 Moshe Sharet (Managing Director of Skylimit and the IsraelExporter.com) is representing the Israeli market and has been in meetings around the clock with Italian companies interested in the Israeli market. AquaMaof, a leading aquaculture project group, have developed a unique technology for Industrial RAS (Recirculating Aquaculture System) that greatly reduces the cost of production in a variety of countries. Comprehensive integrated aquaculture solutions for the entire fish production cycle is at the heart of AquaMaof’s expertise. Providing a complete package from business development concept through system and production line design and set-up, operation and maintenance, AquaMaof establishes a truly integrated approach for business success. The latest in a successful series of projects is a Salmon Trout facility located 100 km. south of Moscow in Russia. One would not normally associate rose farming with the world of aquaculture. In this case the entrepreneur , who was used to the fragrance of his spectacular rose fields, was exposed to an Aquamaof project in Israel. 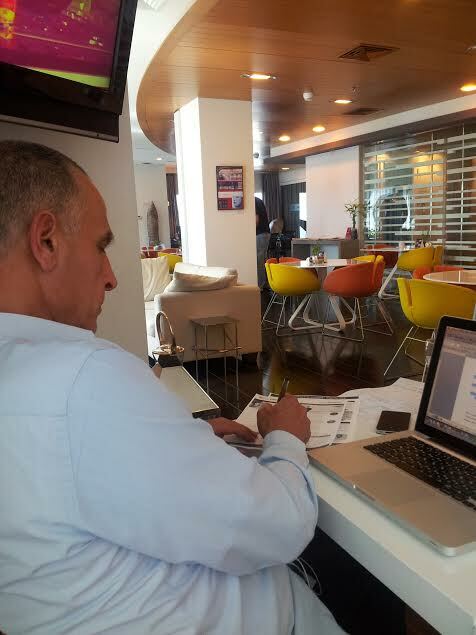 He was very impressed by the technology, low maintanance and the simplicity of the technology. 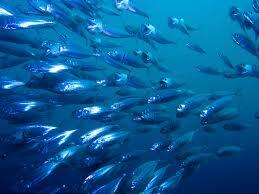 After researching the Russian market, he discovered a great need for chilled fresh fish, especially in the big cities. Meetings with Aquamaof team David Hazut (CEO), Neder Snir (CTO) and Leonid Goldshtein (CIS Director) led to an agreement to establish the production facility, to supply 500 tons of fresh trout per year, to the Russian market. First supplies will reach the markets in time for Christmas 2014. Following the success of the salmon trout project, the Russian entrepreneur has now started the construction of a big Salmon production plant, together with the Aquamaof team. A second Russian Investment group were invited to visit an Aquamaof project in Poland, to gain first hand impressions of the integrated technology. The successful visit has led to a Tilapia project in Astrakhan, near the Caspian sea that will be supplying 1000 tons a year. The design team have successfully met the needs of the Russian partners - for a safe and very cost effective production facility - and look forward to future projects in this very attractive market. Further Aquamaof projects in Slovakia, for the production of 1000 tons a year of Catfish, and 2000 tons per year of Sea Bream in Israel, are in the final stages of completion. 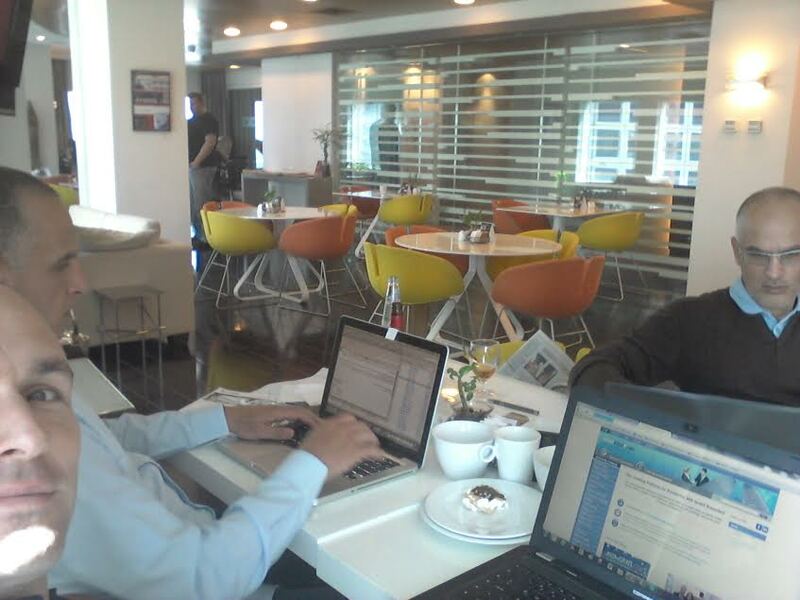 Other projects in Asia, USA and Europe are in different stages of construction. 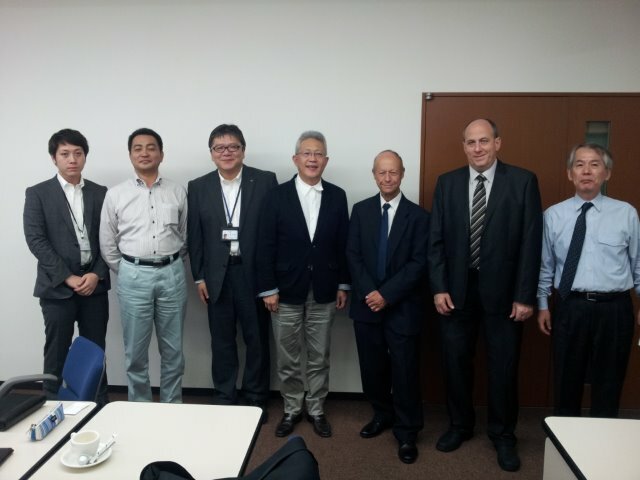 Brian Berman, International Trade Director of the IsraelExporter.com recently visited Japan to attend the International Homebuilding exhibition in Tokyo. He held meetings with Japanese companies in the home improvement industries, and introduced them to an Israeli company that has developed a cutting edge digital measuring technology. 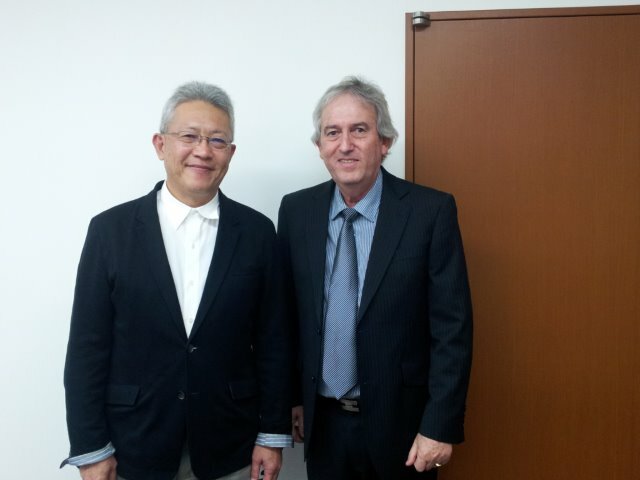 Following the exhibition, he participated in a set of meetings with Toclas Kitchens, a leading Japanese supplier, to discuss cooperation in the market. After a crash course in the use of chopsticks, Brian was spotted at a traditional Japanese restaurant, enjoying the culinary delights that Japan has to offer. Some pictures from the trip! The Event Matching in Italy is one of the largest events for Italian companies and manufacturers looking to develop new business relations. Over 1000 Italian companies will be visiting the show. Companies will have the opportunity to meet with representatives from around the world. 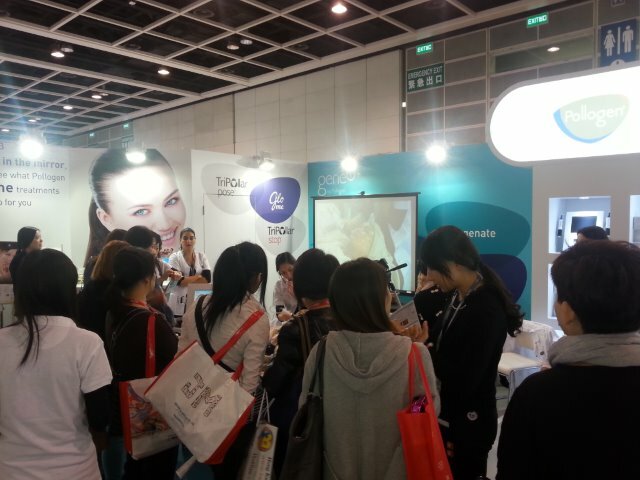 Promoted by various Government and private organizations such as CDO Italy and the ICE-Italian Trade Promotion Agency. Moshe Sharet (Managing Director of Skylimit and the IsraelExporter.com) has been brought in to the event in order to represent the Israeli Market. 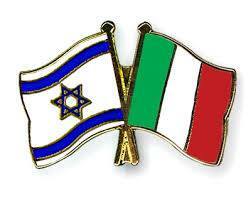 Italian Companies looking to market and sell in Israel will be meeting with Moshe over the next three days in order to learn more about the Israeli market and the potential for their services, products and technologies. 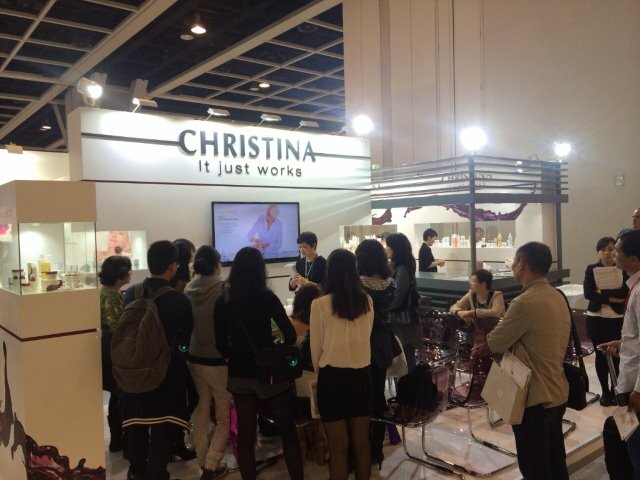 It was another great Cosmoprof Asia show for GIGI Cosmetics! 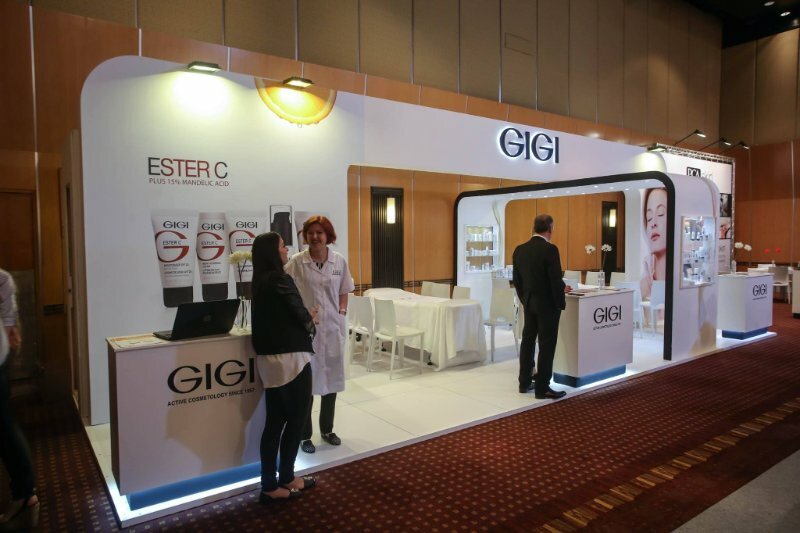 Gigi Cosmetic Laboratories (since 1957) is the largest professional cosmetics producer in Israel, providing more than 400 products for beauticians, clinics, dermatologists, spas and consumers. 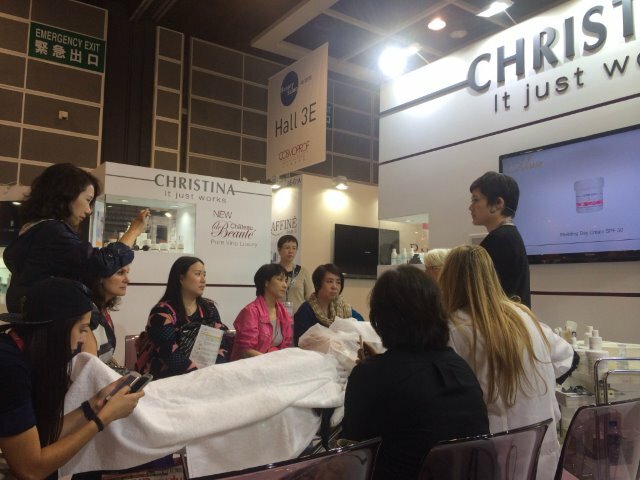 This year at Cosmoprof Asia GIGI introduced the Bioplasma line which is formulated with a new treatment complex comprising of a blend of algae indigenous to the North Sea, which treats ten signs of anti aging: Wrinkles, Dilated Pores,Coarse Texture, Dryness, Spots, Diminished Radiance, Color Change, Redness,Change in Elasticity & Pimples and Blackheads. 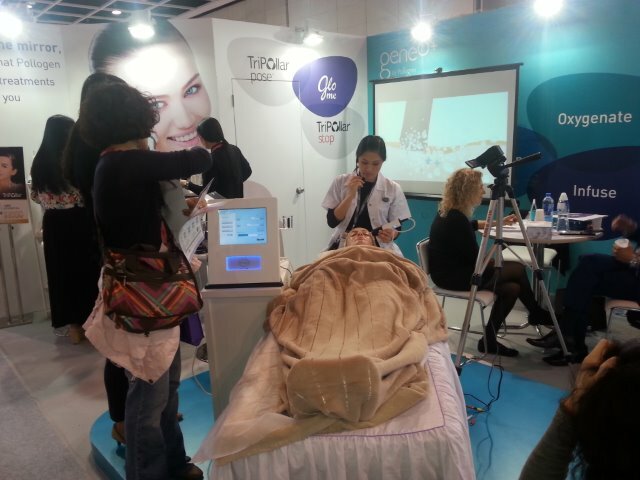 This line is also effective in balancing oily and problematic skin. 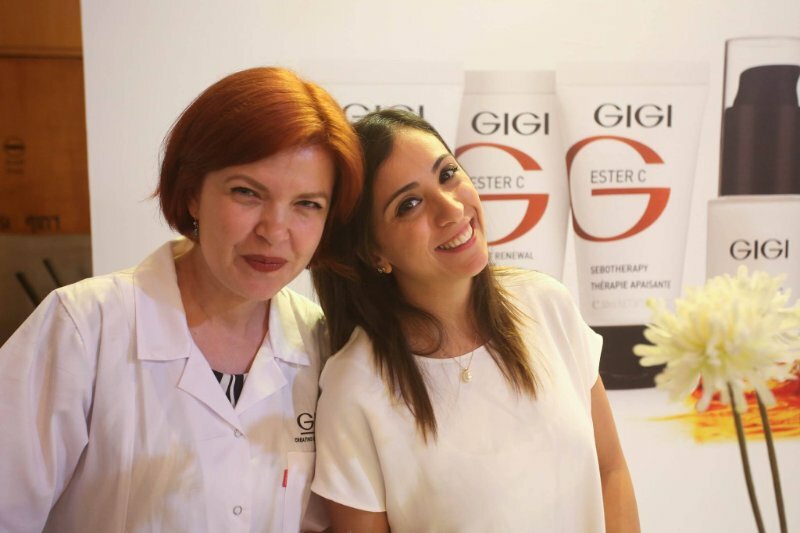 GIGI also launched the Ester C line which reverses sun damage and restores skin to a brighter & healthier look. 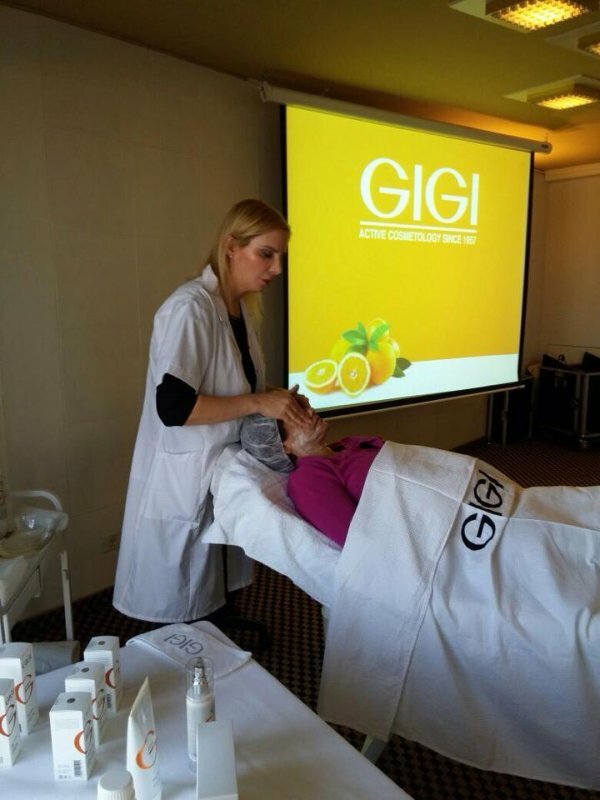 Here are some pictures from the GIGI booth at the Show! 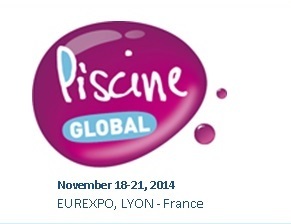 Blue I Water Technologies will be exhibiting with Ocedis at Piscine Global 2014 – Booth 4E102! Blue I will be displaying their new Wi-Fi enabled Prizma water quality controller for swimming pools and the multiparameter HG-302 with the single-sensor chlorine & turbidity feature. 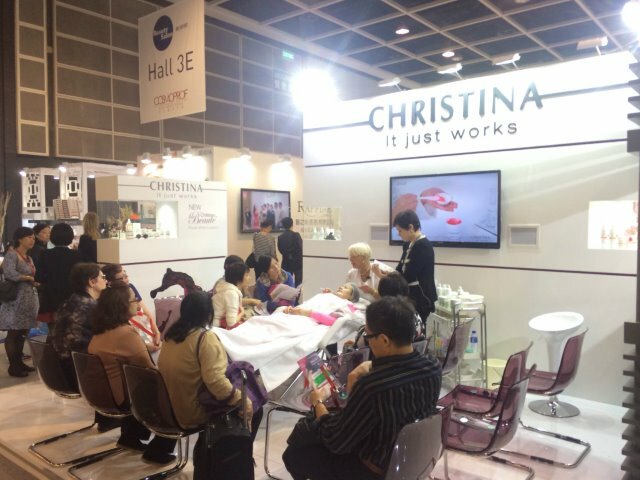 Christina Cosmeceuticals has returned from another great Cosmoprof Asia show! 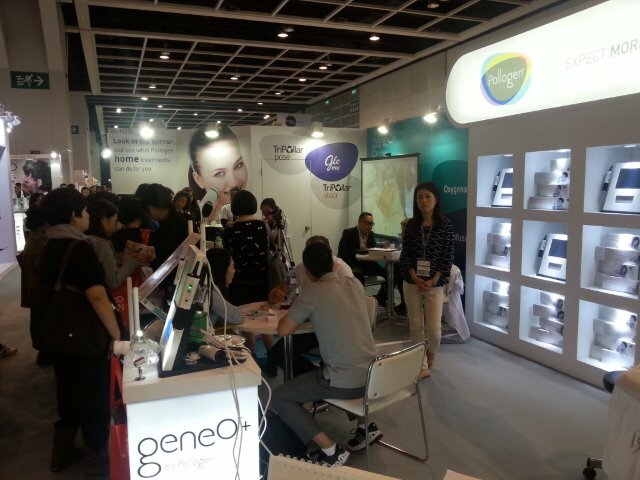 Check out the pictures from the Cosmoprof Asia show below! 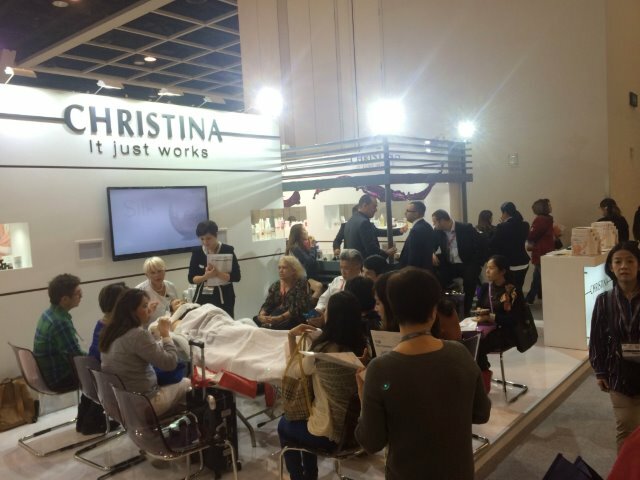 The Christina brand has 9 distinct product lines, comprising a total of over 350 products that target every skin care concern and condition. 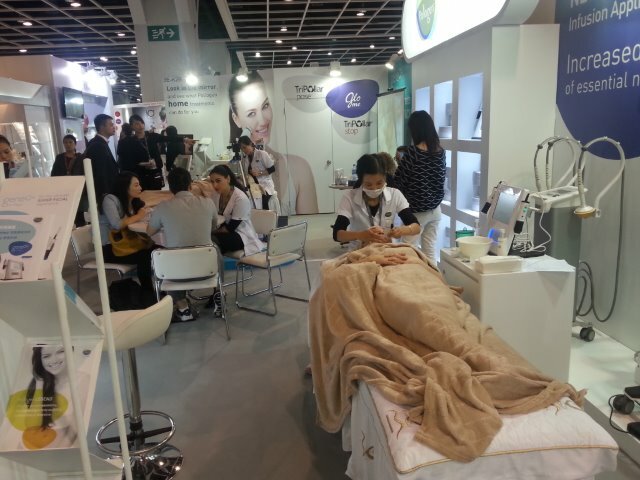 This extensive offering combines cosmeceutical efficacy and innovation with traditionally rich esthetic treatments and incredibly effective homecare –It Just Works! 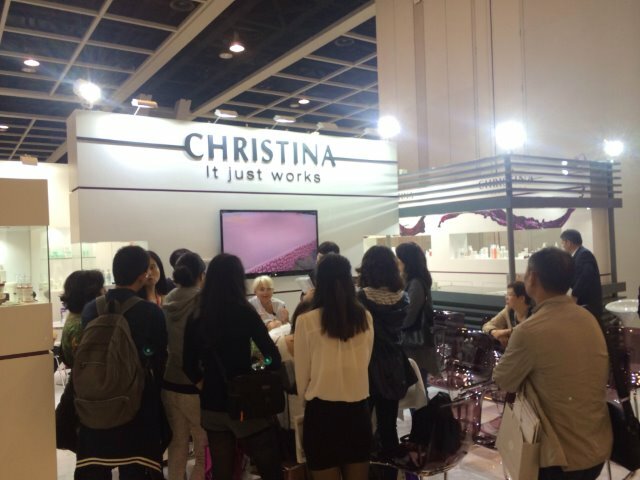 Christina’s newest innovation, the Château de Beauté series, was presented for the first time to the visitors of Cosmoprof Asia 2014. The pure benefits of wine and its supremely beneficial byproducts are translated into a cutting-edge product line, specially formulated to rejuvenate the skin and energize it from within, revealing its vital presence and beautiful glory. Making a clear statement and heralding a new era in professional cosmetics, the Château de Beauté product line has been developed and produced ensuring a complete and wholesome answer to specific clean cosmetics characteristics without comprising the effectiveness of its treatment or its noticeably impressive results. In addition, the Château de Beauté series features the 3D Peptide Complex. This award-winning peptide formula addresses the skin’s aging process comprehensively, preserving its youthful appearance, and leaving it refined, glowing smooth and revitalized. 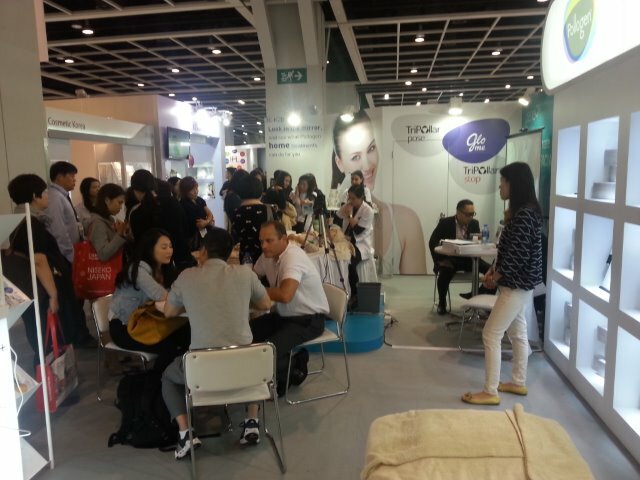 The Pollogen booth at Cosmoprof Asia was very busy. 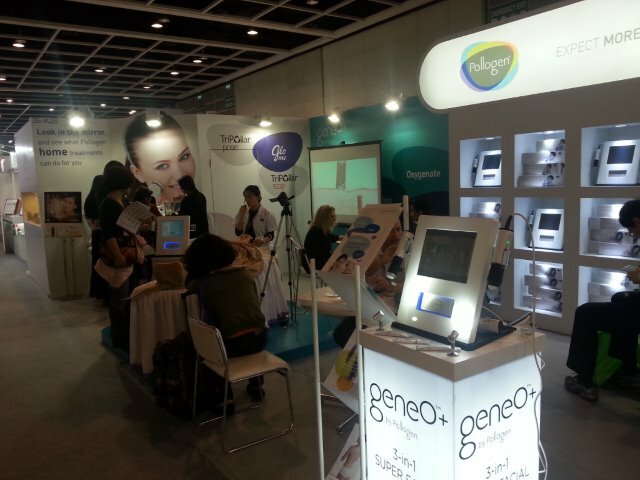 Pollogen met with many new potential partners and distributors in addition to meeting up with several of their current distributors. 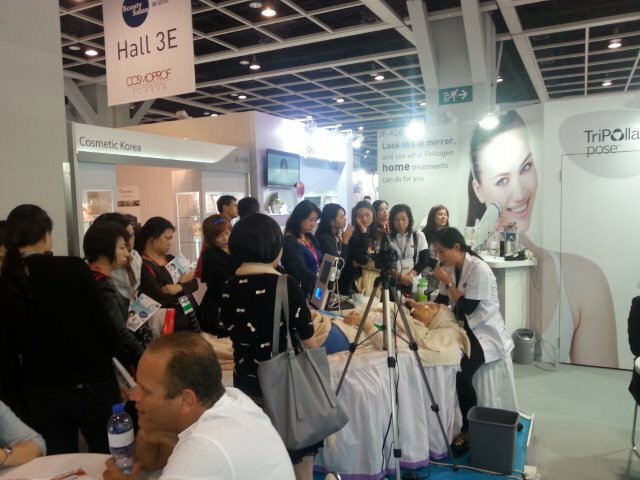 Pollogen provided many product demos and training throughout the course of the exhibition.